State prayer caucuses are formally recognized groups of legislators within the state legislature that allow for quick and unified responses to proposed legislation and consistently unified prayer. Formation of a state prayer caucus, and participation in the nationwide network, provides legislators with clear and active communication on local, state and national issues. Choose your state to find more information about the Legislative Prayer Caucus in your state. Legislative Prayer Caucuses are being formed across the country. Watch the video below to review some highlights from recent Prayer Caucus launch ceremonies. 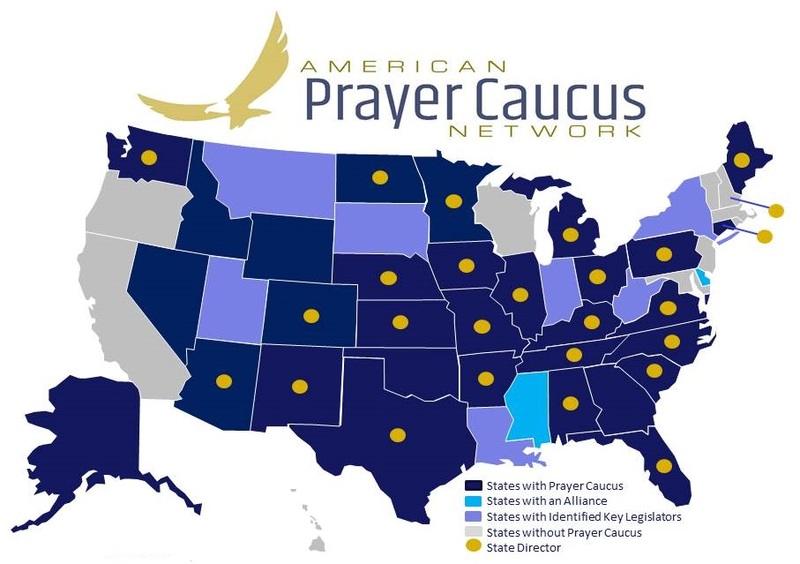 State Prayer Caucus Networks include both legislators and citizens who are working together to advance prayer for and with government leaders, religious freedom protection, and Judeo-Christian values. Participation in the state prayer caucus network provides citizens with relevant information from the legislators for specific prayer and action. If you are interested in joining or forming a State Prayer Caucus Network in your state, click here to contact Summer Ingram.